← Ground Squirrels for the BBQ? What to Do When Deer Tag is Lost in the Field? Question: When hunting, a valid hunting license and a valid deer tag for the specific zone is required to be in the immediate possession of the hunter (Fish and Game Code, section § 4336). 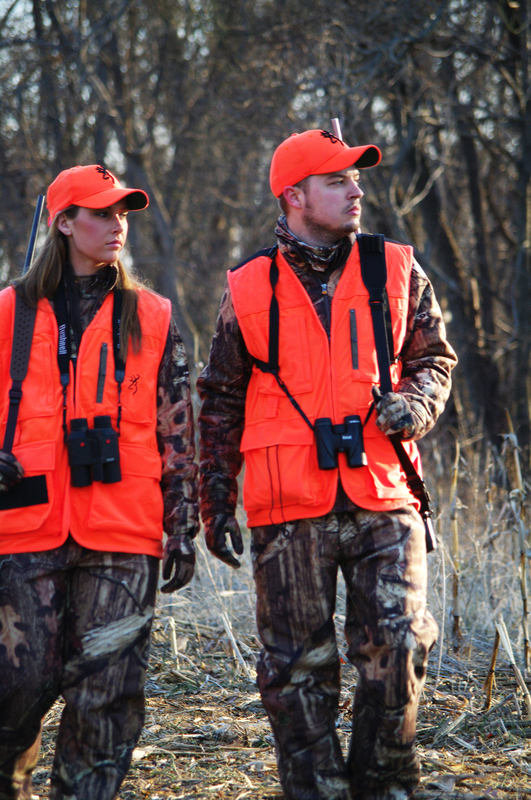 What happens if while in the field hunting, the hunter becomes aware that his or her hunting license and/or deer tag have been lost? What is the proper way to exit the field without risk of receiving a citation for failing to carry the hunting license and/or valid deer tag? What can or should be done if the hunter, after dispatching a deer, discovers his/her valid deer tag is missing? Answer: As soon as you realize you have lost your license and/or tag, you should unload your rifle and immediately leave the field. While we can go back and check the computer database to see if you have purchased a hunting license and the appropriate deer tag, the law requires that the license and tag be in your possession so that the warden can confirm you are licensed without stopping to call in to the system (which is not always accessible from the field). Some poachers use this excuse to avoid filling out their tag, so a warden might start asking you a lot of questions. If you didn’t discover that your license and tag were missing until you went to tag your deer, you’re in a tough situation. Do your best to document that you took the deer, and intended to report it. You are still in violation of the law, since you have the deer and have not tagged it, but there are some steps you can take to show that you did everything in your power to try to fix it. Once you have cell phone service, call your local CDFW office or CalTIP and tell them what happened. Stop at the first place you can to have someone that can countersign tags look at it, and ask them for their name and contact information. If you haven’t already made contact with a warden, continue to try to do so, and if there’s a local CDFW office and it’s open, give them a call and see if you can go there. You will need to buy a duplicate tag and get the tag completed as quickly as possible. Sometimes it is hard to tell our hunters from our poachers, so in a situation like this, do the best you can to show the warden you’re acting in good faith, and our wardens always try to do the same. It is incumbent upon the hunter to have all licenses and documents with them before going out into the field, not after pulling the trigger. Answer: Both the chef and the local spear fishermen are in violation of Fish and Game laws and can be cited for buying and selling sport caught fish. Fish caught via a sport fishing license may not be bought, sold, traded or bartered (FGC, section 7121). Commercial fishermen are only allowed to fish in certain areas, because some areas are polluted, and also to protect the fish populations. Even if the local spear fishermen did have commercial fishing licenses, they would all still be in violation as a spear is not a legal method of take for commercial fishing. I suggest you contact CalTIP at our toll-free number of (888) 334-CalTIP or (888) 334-2258). You can do so 24 hours a day, 7 days a week. You may remain anonymous and may even collect a reward if your tip results in a conviction. Question: Is it lawful to sell a taxidermied African lion in California? Answer: African lions are not regulated under California law, but you should contact the U.S. Fish and Wildlife Service to determine if there are any federal restrictions on trade in African lions. This entry was posted in Big Game, Commercial Fishing, Deer Hunting, Fines/Penalties/Citations, Firearms/Ammunition, Fish and Game Code, Import/Export, Licensing/Permits/Stamps/Report Cards, Selling animal parts, Title 14, Uncategorized, Youth and tagged deer hunting, Licenses, regulations, selling sport caught fish, taxidermy, youth fishing. Bookmark the permalink. As a Hunter Education Instructor and now eligible to validate Deer Tags, I found this very informative. As well, I’m an NRVP and do patrols of urban park lakes in OC and LA counties. We distribute Fishing Regulations and attempt to educate the public about them. This info on multiple poles will definitely be worthy info to pass on…. Lots of good tips here. Thanks.